New boss Christian Sewing wants the German lender’s domestic unit to earn an economic return by 2021. That’s doable as long as Postbank delivers promised savings of 900 mln euros a year and higher interest rates help. It’s less daunting than turning around the investment bank. 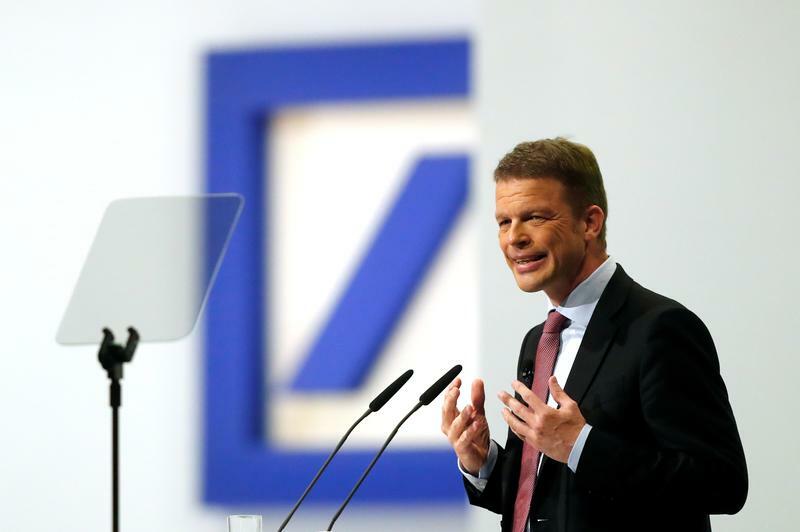 Deutsche Bank CEO Christian Sewing said on April 26 he wanted to shift the bank “to more stable revenue sources” and strengthen its core business lines. Deutsche envisages that its Private & Commercial Bank and DWS asset management business will contribute around 50 percent of revenue by 2021. Adding Global Transaction Banking would lift the share of revenue from more stable sources to around 65 percent. Deutsche announced on May 24 that it planned to slash more than 7,000 jobs to cut costs and restore profitability. The bank said global headcount would fall to well below 90,000 from 97,000, with a 25 percent cut in equities sales and trading jobs, which are mainly in New York and London. Sewing, who became CEO in an abrupt management reshuffle last month, wants to scale back the global investment bank and refocus on Europe and its home market after three consecutive years of losses.